If you’re a current student, or graduate of post secondary education, you know the struggle! We spend 3 to 5 years mapping out a future, which then becomes seemingly unattainable once we’ve racked up a solid line of credit/student loans. Unless your area of expertise sets you up in a professional position right off the bat, you may have quite a ways to go until you’re free from looming debt. Personally, I could not be more eager to rid myself of the ongoing stress of becoming financially free. No, I’m not going to divulge some get rich quick secret to success, because that is just slightly unrealistic... and I honestly have not figured one out yet (sigh)! But what I can share, is a collection of small things I took into consideration over the past year, that allowed me to break free from my dreaded student loans. Whether you’re still in school or you’re years post grad, start saving now, because the sooner the better. Like many young adults, I found that the quickest way to save was through the serving industry. Though, you may not be able to simultaneously hold down a job and be student of the year, there are many other options available to you. Most schools offer on campus positions that take your student schedule into fair consideration. Another option is to visit the research department, as they’re usually looking for paid participants. A great way to start managing your finances is to figure out where your money is going on a regular basis. This helps for long term planning, which is necessary when dealing with such large amounts of student debt. Using a spreadsheet to sort out all your spending is a great organizational tool! Once you’ve created a budget, now you should be able to see where your money is going. Try sorting your spending into necessary and recreational. Unfortunately, living on a budget sometimes requires a little give and take... usually a little more give! Start thinking about alternative ways of spending your time and money. Remember, not everything has to be a sacrifice; lot’s can be done without spending money! 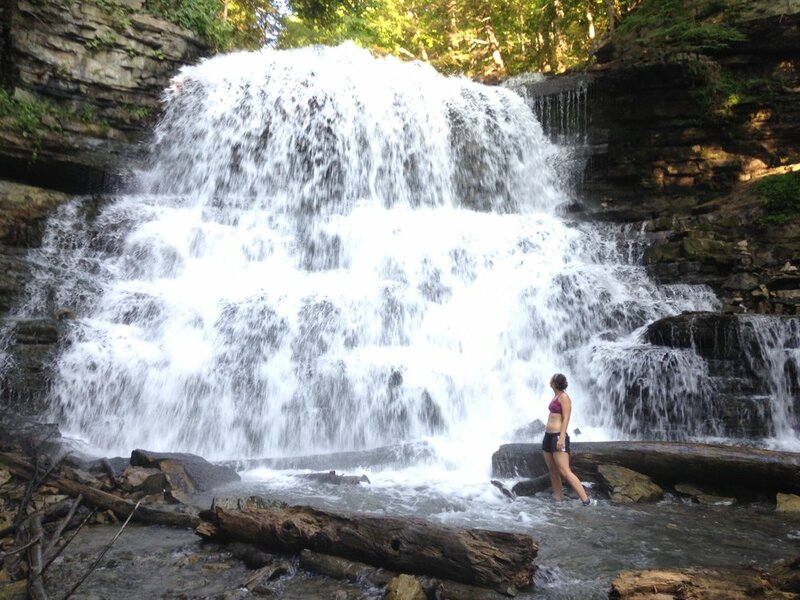 Consider your own personal Sustainable Happiness; what can you do to make yourself happy, and at what “cost?” Regardless of how hard we try to cut costs, there are some things that are essential to our way of living. The key is to find a balance! Obviously city living screams public transit, biking, roller blading, unicycling, etc, but depending on the area you live in, public transit may not be the best option for you. Realistically though, investing $150 into a bike will end up saving you a large sum in the long run. Plus it’s great exercise! Personally, I lived in an area where driving a car was my best option. Granted, I drove a 1998 Pontiac Sunfire that was, generously speaking, on it’s last leg. I bought the car just as it was biting the dust, then took it to my local high school’s autoshop where they were able to replace a few parts until it was running smoothly. In that case, you pay for the parts, but labour is “free” because it runs a little like a coop for the students. Get reacquainted with your kitchen, because eating out adds up quickly. Don’t be afraid to look for low market grocery stores either. Food basics, No frills, and Freshco will save your bank account from drowning. 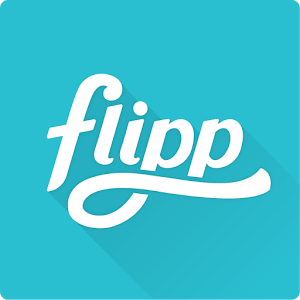 Check out the free app, Flipp as a tool for discount shopping and price matching! Also try making a grocery list each week, and stick to it! Often times we end up making impulse purchases. If you are eager to go out for a night with friends, check out Groupon for savings. Some of the best experiences I had during my university career were simply hanging out with my roommates at home. Even if you’ve graduated, and moving back in with the parents isn’t an option, find some friends you can tolerate living with! If you can't find long term roommates, try renting out your extra space on AirBnB. That being said, if moving back home is an option, bite the bullet and pack your bags. I know we all love our independence but a short term stay could really help financially! If you're a bit of a fitness addict like myself, you’ll understand the struggle of gym membership contracts. If you work for a larger corporation, check to see if your company is associated with a major gym in order to get an employee discount. If that’s not an option for you, start up a scrimmage with friends once a week, look for hiking spots in your area, or find outdoor workout videos that meet your needs! Youtube is a great place to start looking for Innovative Home Workouts, but I've also found some more convenient Fitness Snap Chat Accounts that are great for exercise ideas! One app I recently heard about is Bvddy which connects you to people in your area looking to scrimmage! If you’re like me, you probably don’t wear over half the items in your closet. I recommend rounding up your gently used items and bringing them to a used clothing store that pays YOU! One store that I’ve used countless times is Plato’s Closet! And anything they don’t take, you can just donate to charity - a win win! I’m quite aware that we live in an age where everyone has a data plan, but reevaluating your phone plan could end up saving you in the long run. Personally, I switched phone companies, getting myself a deal on an iPhone, then went without a data plan. Let’s face it, unless you’re in need of a GPS, wifi is everywhere these days! The only downside - trying to decipher how long to wait before it's socially acceptable to ask what the wifi password is. Residual income is basically money that you generate after your initial work is done. This is something that financially successful people usually have a good grasp on, because to work hourly often means limiting yourself to a cap of how much money you can earn per day/week/year/etc. I would suggest finding something that you're passionate about, and finding a way to capitalize financially. There are sites available to young entrepreneurs looking to distribute creative projects, such as Etsy and iTunes, or you can even contact local shops/markets for distribution opportunities. Realistically, being in debt is not the worst thing in the world, but creating sensible habits in order to set yourself up for financial success is a simple way to find peace of mind. Personally speaking, I think I grew quite a bit over the past year, and part of that had to do with me realizing what I wanted/needed to make me happy, and how sustainable those things were.